This year’s IndieJunior programming team grew exponentially. 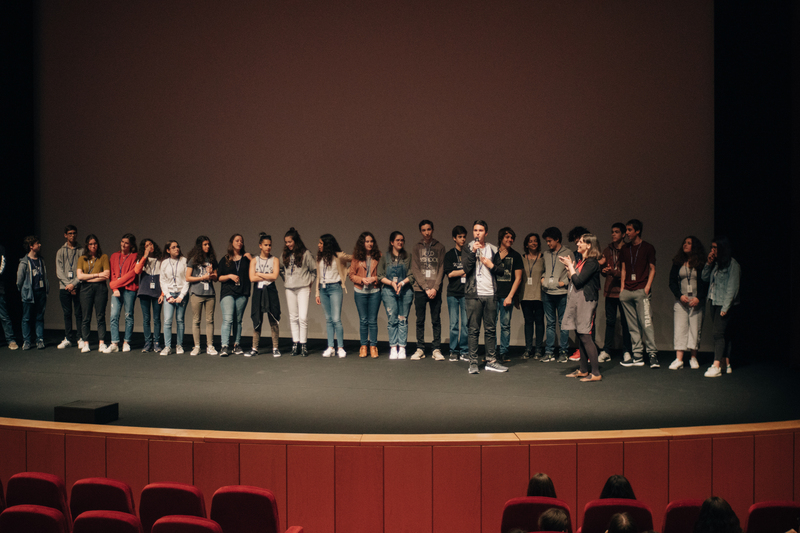 Instead of 4 programmers, there were 34 because Irina, Mafalda, Miguel and Nuno were joined by 30 students in 9th grade from the Dona Filipa de Lencastre school. And what a great selection of films they chose! Animation, fiction and documentary. Action, drama and adventure. All of this in one programme of short films. It is worth highlighting the first film, In a Nutshell, a film that uses the world’s images as a reference for making a journey about history, objects, love, war, life and the recent world events n the blink of an eye. This short and other films will be screened tomorrow, May 1st, at Cinema São Jorge (room 3) at 15H00.